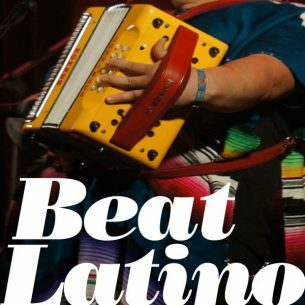 This week’s Beat Latino takes a paseo to check out Latinx folk music at the Folk Alliance International Conference in Kansas City, Missouri. From Panama/KC’s Making Movies to Tejano legends Flaco Jimenez and the Texmaniacs to Nicaragua’s folkoric rock from Elena y los Fulanos to Ecuadorian rocking guitarist Eljuri to Mireya Ramos from Mariachi Flor de Toloache, I had a chance to experience a wonderful array of folk sounds that we can begin to consider nuevo folk and an integral and important part of the music of the United States. Includes part of a conversation with Kansas City’s own Making Movies. Check it out!